Yesterday the [International Budget Partnership] (http://internationalbudget.org/) published their [2012 Open Budget Survey] (http://survey.internationalbudget.org/#rankings) evaluating fiscal transparency across 100 countries. Based on the survey, IBP calculates the Open Budget Index, as a measure for comparing budget transparency across the world. The survey is based on the performance of countries across 125 questions on everything from the independence of state auditors to the transparency of each and every step of the budgeting process.  This year’s Open Budget Survey features a data explorer developed in coorperation with OKF. 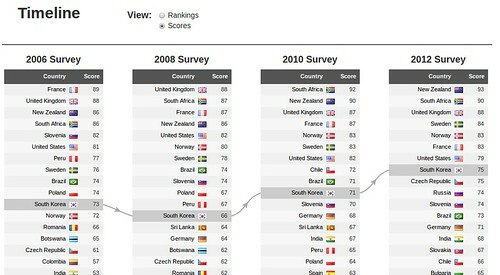 Here you’re able to compare how the countries preform in the overall survey or on specific questions compared to their earlier scores back to 2006 in a [timeline] (http://survey.internationalbudget.org/#timeline). For each country you’re also able to review [each question and score] (http://survey.internationalbudget.org/#profile/) in detail. So whether you’re a researcher, journalist or simply immensely curious the survey should offer plenty of opportunities to dig deep into governmental budgetary transparency. Join our Community Call on assessing fiscal transprency standards! At OpenSpending we wanted to follow up on the Open Budget Survey by organizing a Community Call on Wednesday, January 30th 1900 CEST / 1300 EST. Topic: What questions to ask when assessing fiscal transparency standards of governments? If you’re wish to follow the discussions on budget transparency and spending standards, don’t forget to join our mailing-list.